As 3PLs seek ways to maximize throughput, progressive DCs are focused on order accuracy and speed to customer. 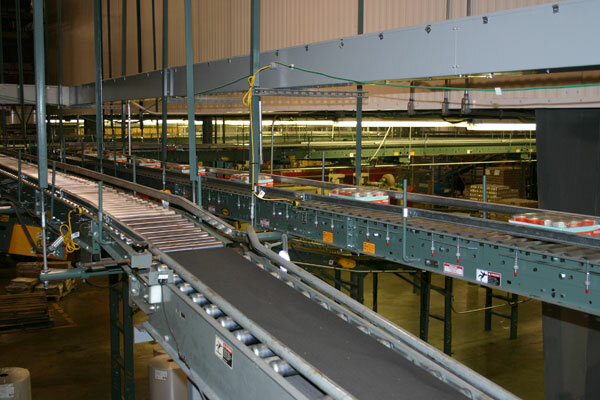 Advanced automated systems—such as conveyors, robotic pickers and packers, and auto-guided vehicles—all collectively yield more efficient fulfillment processes and order accuracy. Aligning your inventory with an automated system can provide better control over your operation and offer less time lost on replacement and reordering. Since a 3PL is typically picking a client’s inventory, having a transparent, real-time and accurate tracking system is even more critical. By adequately computerizing your inventory, you can track goods across the whole supply chain, and ensure increased picking accuracy. People discuss various picking automation in terms of its effect on speed and accuracy (which is all true). One of the less-discussed benefits is that these systems also increase inventory accuracy. Automation can turn warehouse picking process into a more accurate and faster system. By reducing errors and time spent on the process, you can effectively increase customer satisfaction. Pick to light systems are a proven method for reducing errors and increasing pick speeds. For the correct applications, automated picking dispensers are an ideal way to enhance speed, reduce errors and increase inventory accuracy. Automated systems can increase storage space as well. For example, automated lifts and robot carousels can significantly reduce the amount of warehouse space which you use for storage, leaving new space to use as you see fit. Whether it’s the decrease in labor and training costs or a lessening of energy and repair bills, automated systems can help keep your overall warehouse costs down. In the face of today’s ever-increasing labor shortage, implementing warehouse automation can help reduce a warehouse’s dependency on labor. Another positive byproduct of an upgrade in automation is you can make your warehouse floor more attractive to younger workers. Because you’ll reduce the number of rote, difficult and repetitive tasks, you will compete better for the type of workers needed to provide great customer service. When it comes to automation or any other factor, that enhanced customer service is what will really make a difference in your competitive ability to acquire and retain business.